Piña Barware's julep-style strainer was developed specifically for commercial use and built from the highest quality stainless steel. 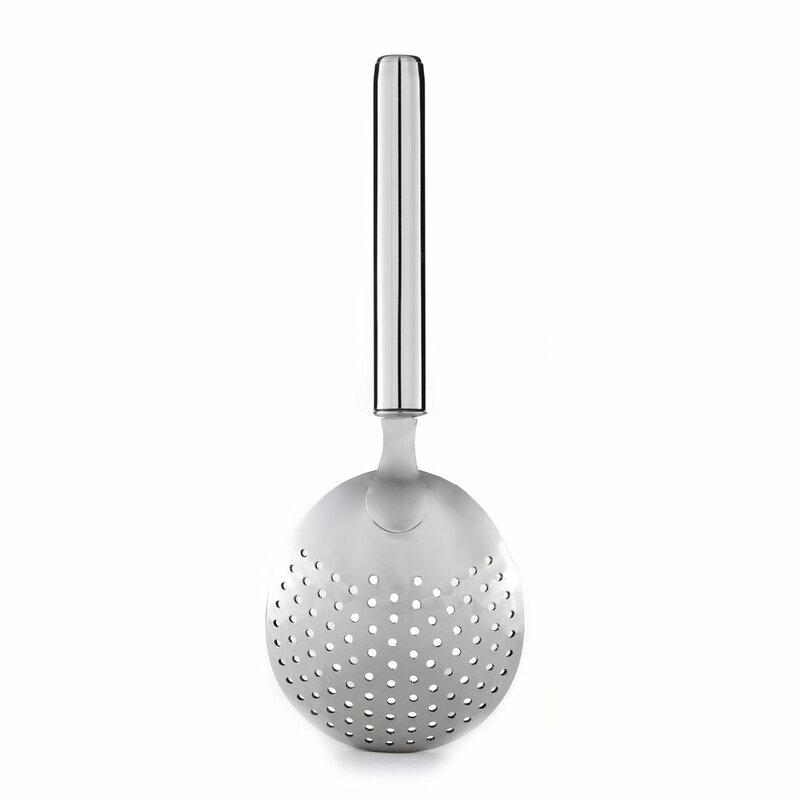 Unlike most julep-style strainers on the market, we have designed ours with a long, sturdy handle for ease of use and ease of storage. Similar to many hawthorne-style strainers, Piña julep strainers can be stored together upright in any wide-mouthed container for quick drying and easy access, as is the standard practice in many professional bars. With polished surfaces and consistently spaced straining holes, the Piña julep strainer is an effective tool necessary for every bar. Built For Professionals. Made to stand up to many years of heavy commercial use. Practical Design. Created with a unique long handle for easy use and storage. Maximum Durability. Made from the highest quality 100% stainless steel and fully dishwasher safe. Beautiful Construction. Mirror polished stainless steel to match our newest line of professional barware.